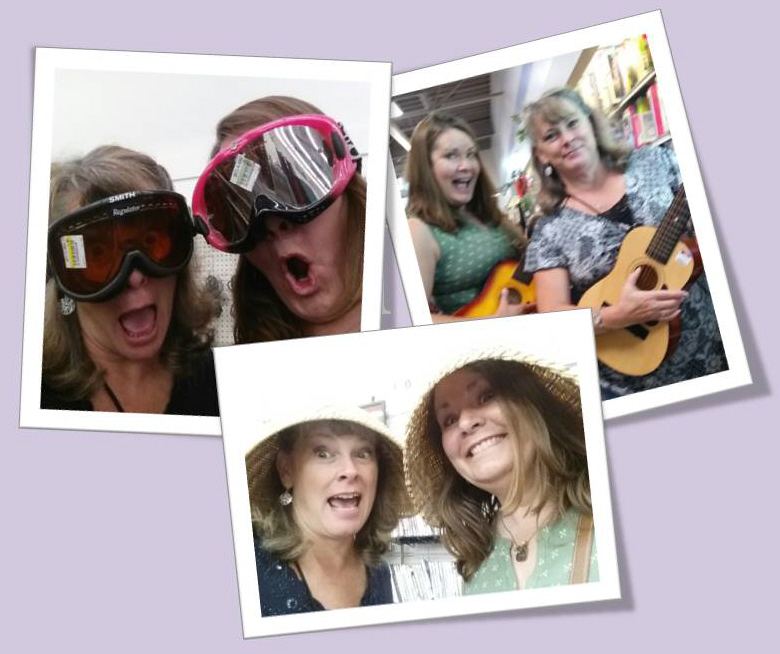 My best friend, Deanna (from grade school, Jr High, High School, coming to Jesus, marriages, and babies and now empty nesters) and I, LOVE what we call our ‘Playdates’. Yes, we are 55 years old, (it’s true) but never too old to enjoy a good giggle perusing the aisles of Goodwill, it is fun and not to mention therapeutic in nature. It is our goal to find the silliest of things, from woven baskets to face sucking ski masks and offering an impromptu guitar duet. And OF COURSE, these have to be posted on social media. Friends and family shake their head with a muttered: “Well, they’ve been to Goodwill again.” Yes, yes we have. But most importantly, when folks see me (outside of silly 2nd hand store laughter) I want them to see that I have been with Jesus. Not just when I am up front teaching the women, but when I greet them at the store, sit next to them at church or chatting when I am picking my granddaughter up from school. WHAT do folks see, is it evident that I have spent time with God, in His word, His Spirit strong in my words and seen in my countenance? We see this in the book of Acts (chapter 4) with Peter and John, they were brought before rulers and religious leaders, it is said of Peter (being filled with the Holy Spirit) he spoke boldly and clearly about Jesus. The leaders, although critical and skeptical were amazed, knowing these were ordinary men, with no special training, but they were full of confidence and courage, “they took note that these men had been with Jesus.” (v13) Yes, it was noted these men were associated with Jesus of Nazareth, but their demeanor radiantly, righteously spoke of Him. Can you imagine that being said of us? May we too get to know Jesus so intimately that we know His words, we know His purpose, we speak clearly and although we also are ordinary, we confidently and filled with the Holy Spirit present our God to others and their response being, “They’ve been with Jesus.” (Yes, yes we have). This entry was posted on January 25, 2019 by Inspired Fountain. It was filed under * Miscellanous Stuff and was tagged with Acts 4:13, Seeing Jesus in us, they took note these men had been with Jesus.